Vietnam visa requirements for United States. This page provided informations about visa requirement or exemption for citizens of United States. Vietnamese or United States government policy may changes, now. If you’ve got new infos about requirements for United States ‘s passport holder, please contact us. Thank you! We wish to notify that you have to apply for a Vietnam visa to enter Vietnam if you are a USA passport holder. When clients choose visa on arrival and get visa stamping at Vietnam’s international airports are you afraid of having problems at the airport for stamping visa such as be bothered or made difficult by airport security or no one assists procedures for visa stamping at the Vietnamese international airports or could be denied visa stamping and rejected for entry? You can choose our fast track service to have quick support for stamping visa at Vietnam airports. United States people can apply for Visa on arrival Vietnam for purposes such as tourism, trade, work, relative visit, medical treatment, marriage, etc. 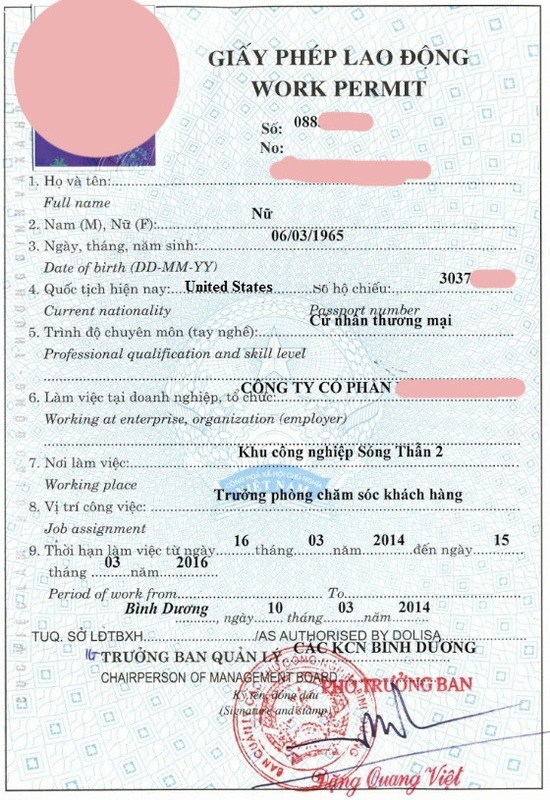 – Firstly, passenger must scan documents and information then send email to us: Passport surface of United States person and scan business registration certificate of Vietnamese Company, Expected Date of Entry and Place of stamping Visa. – Then, we will prepare dossiers then send back for Vietnamese Company to print and seal and Director to sign. Then, that Company will send dossier set back to us. – After Visa completed, we will send it to you and provide instructions for use to stamp Visa in international airport in Vietnam. – Time for obtaining trade Visa is normally 4 working days. Time for tourism or trade Visa for United States people can be faster than 5 days; Or Visa can be obtained urgently in 01, 02 days but passenger must pay extra fee. – United States people can apply for Entry Visa online on our website or via email to us. – Passenger can go to the Embassy and apply for visa at Vietnam Embassy in United States or Vietnam Embassy in another country. Note: The passport of foreigners using unilateral visa exemption to cone Vietnam must be valid at least 6 months and the next entry to Vietnam must be least 30 days after the first exit. From the second entry, passenger will have to make a visa if a previous entry is not exceeding 30 days. 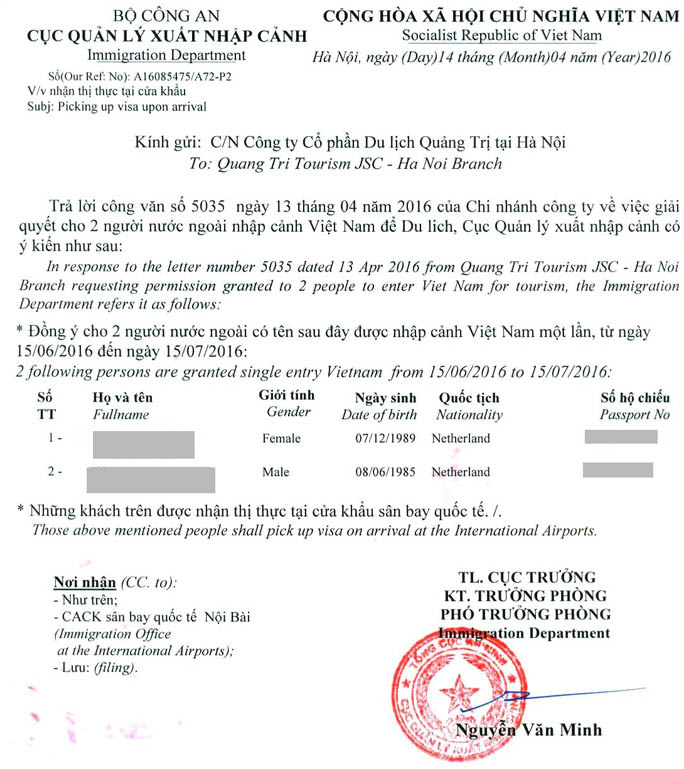 In case United States citizens come to Phu Quoc, Vietnam via international ports (included by air or by sea), stay at that ports and head to Phu Quoc Island, they are exempted from Vietnam visa not more than 30 days. It is only applied for people going to Phu Quoc. If they go to other places, they must make visa as usual. How to get Vietnam visa in United States? 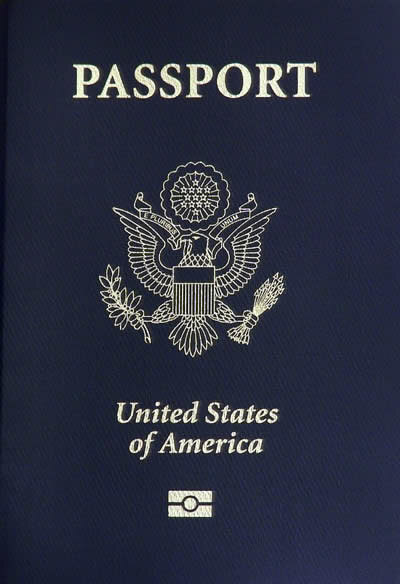 This is the simplest and fastest way for United States passport holder. To apply for visa online, passenger can visit our website or send email to us, after 5-7 working days, passenger will receive visa dispatch issued by Vietnam Immigration Department. To have contact information of the Vietnam Embassy in United States, please access our homepage and find the box Vietnam Embassy location. According to the provisions of the Government of Vietnam, foreigners in general and United States passport holders in particular are only allowed to stay in Vietnam for 06 maximum continuous months. – Residence certificate by local public security. – Visa extension period will depend on the remaining term of work permit. – Customers prepare full documents, we will come to your address to collect all documents. After your visa is extended, we will return your passport back and collect your money. – If customers stay in other provinces (except for Hanoi, and Ho Chi Minh), please send us all documents via express post office, and we will send back to you once we finish it. – Normally visa may be extended only up to 3 months, but with trade visa, work visa we can extend up to 06 months or 1 year. – In case they want to work for long time in Vietnam, the United States must have work permit in Vietnam. We will instruct you how to get it (Work permit can be extended). – After obtaining work permits, the United States can make 2 or 3 year residence card which can be extended. – If the United States are spouses, children of the Vietnamese, they can make 5 Year Visa Exemption (We will talk about this later). Before coming to Vietnam, the United States should prepare following documents to save the time to come back your country. – The judicial profile issued by the authority of the resident country and is governed by the foreign diplomatic of that country. Foreigners should ask for some copies to use in other cases..
– The certificate of at least 5 year working experience of company which should be governed by the foreign diplomatic of that country. The foreigners should ask for some copies of this document. – Other related certificates or degrees should be governed. – The judicial profile issued by the authority of the resident country or the municipal office of Justice in Vietnam. – The judicial profile issued by the municipal office of Justice in Vietnam. – The written request to renew the work permit of employer as the form of template 8. – Copy of work contract. – The current work permit. 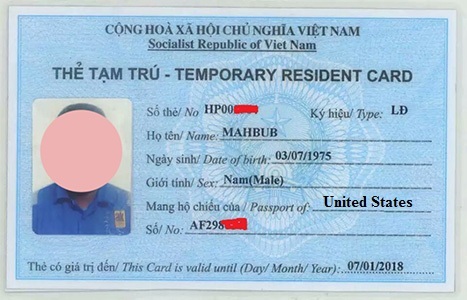 If a United States person has Certificate of Marriage with Vietnamese, passenger can apply for 03-year temporary residence card. When obtaining this 03-year temporary residence card, passenger can stay in Vietnam for 03 maximum continuous years under the term of the card without exit or visa extension. However, the purpose of this temporary residence card is to visit relative so passenger must still obtain work permit to work in Vietnam. – The United States who hold foreign passport are spouses/children of Vietnam passport holders. – Documents issued by competent foreign authorities if they can prove that the person in question has original Vietnamese citizenship or of Vietnamese origin. 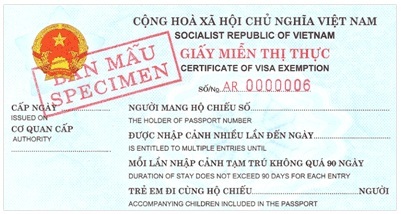 – Other valid documents as regulated by the Vietnamese Law. – How to handle when the passport is lost? – Apply and have visa on arrival done, but the schedule is changed and want to come earlier than the expected date on visa on arrival is not granted? – The way to handle overdue visa and the way to extend a visa or make a new visa. – Can I make a temporary residence card for 2 years without a labor permit license? – How to handle when the temporary residence card is lost? How to do the new one? – Make a work permit lance without judicial record overseas, confirmed on 5 years experience working.